This morning when the boys woke up while laying in bed with us, Basil sniffed Guinnie's cheek and then gave him double kisses (licks). Guinness looked back over at Basil and gave him a double kiss back. 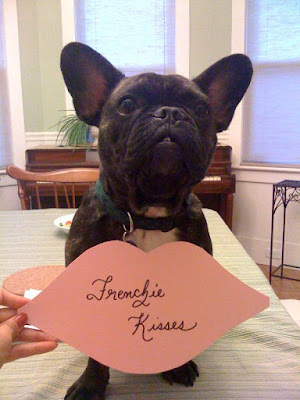 Awww...such sweet frenchie brothers you two are! !